This was one of my hardest bakes because everything went wrong with it. I made the chocolate pastry but couldn’t roll it out without it breaking all the time. I did try different things like putting it back in the fridge for a bit longer and also adding some liquid to it but nothing would make it any better. 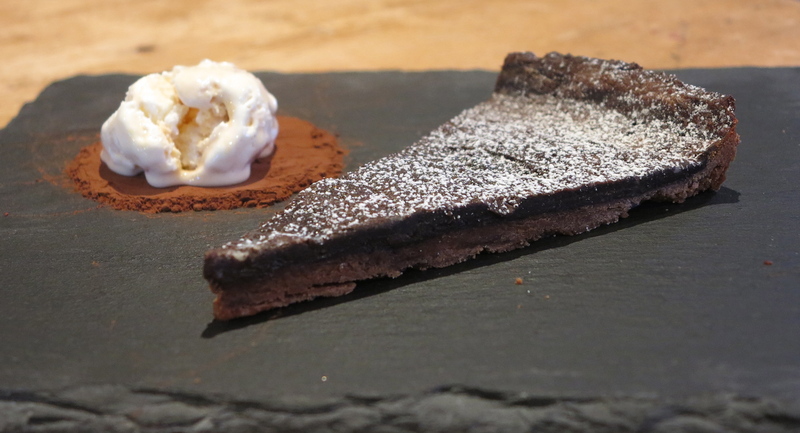 In the end I rolled out what I could and patched the pastry pieces together. I really didn’t like this pastry. I did some reading on the computer and there are lots of reasons why it perhaps didn’t work. Like the pastry was to dry, or to cold. Somebody said that all flours are different so that could affect it another person said to add an egg to the pastry to help it. 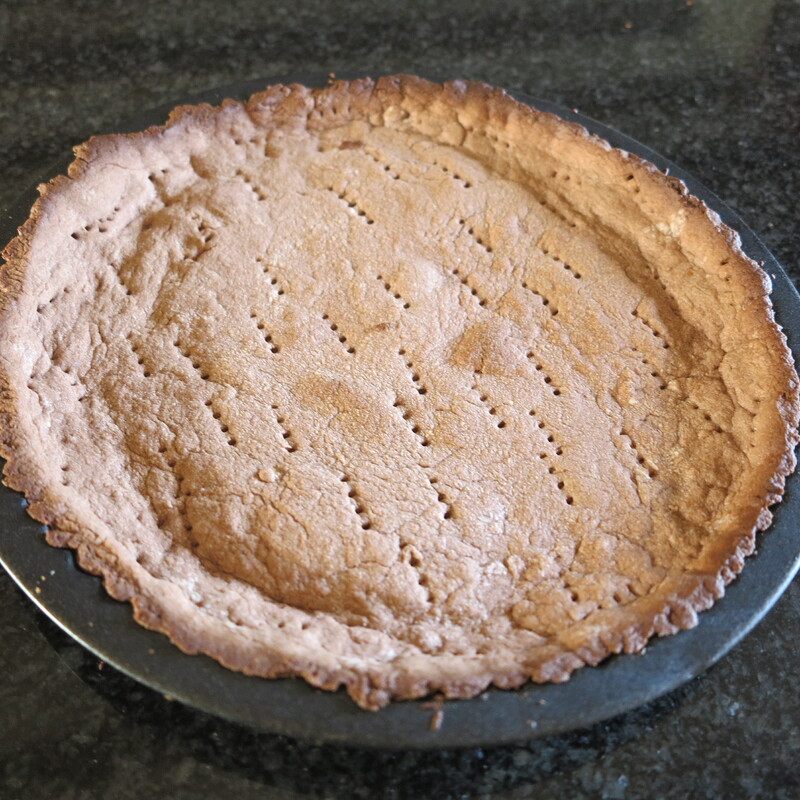 The filling is a bit like a brownie as it has the same ingredients and the texture is similar the difference is the quantities and the time it takes to cook. Then to make things worse I managed to over cook the filling but even though I found this bake hard and I made mistakes it still tasted yummy especially with some vanilla ice-cream. I think I’m going to have to try this recipe again to see if I can get it right. I’ve gone back to my Patisserie book this week but am still cheating a bit as I have gone straight to Creme Caramel recipe. The reason for this is we needed a pudding for supper and Creme Caramels are one of my favourite puddings. Made from eggs sugar and milk they make one of the best puddings ever. Sugar is heated in a saucepan until it has melted. 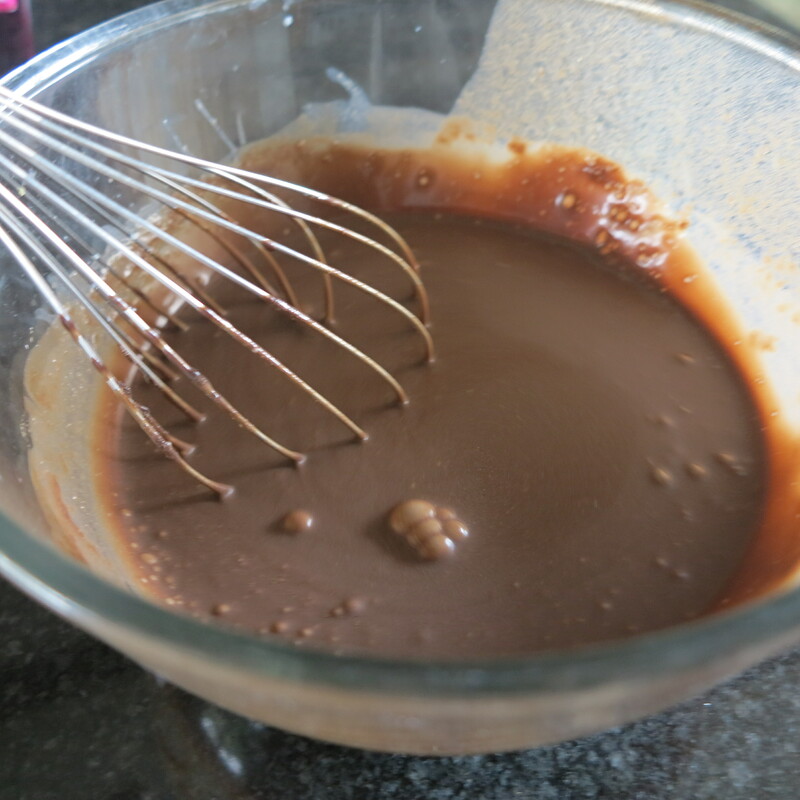 The saucepan is then dipped into cold water to stop it the caramel from cooking anymore and burning. The mixture is then poured in to ramekins and left to cool. 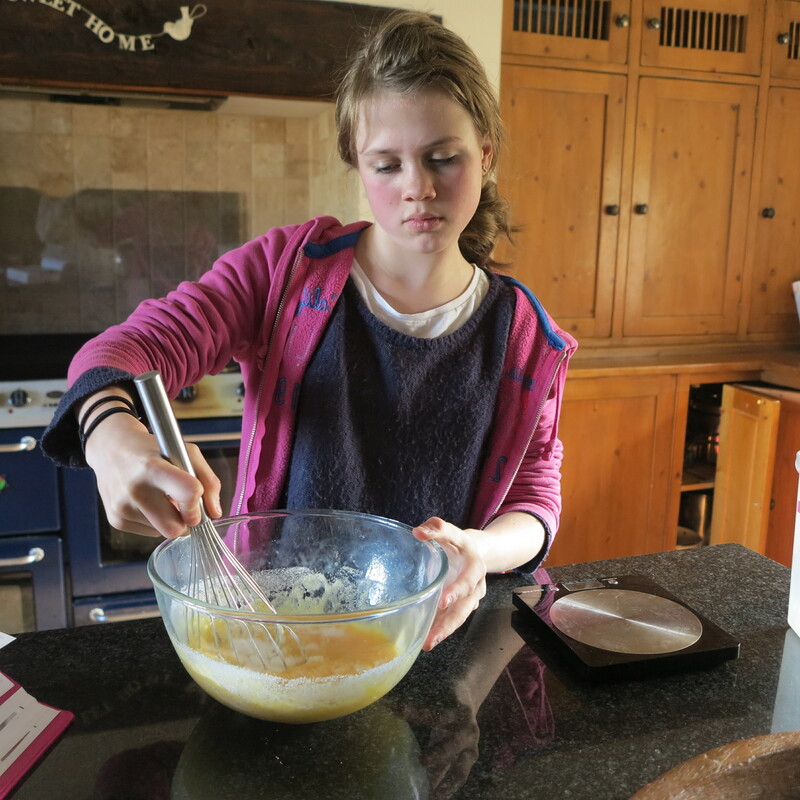 Eggs are then whisked up and vanilla added for taste. Milk is then added and the m ixture is poured into the ramekins and bake for about an hour when the custard mixture has set. 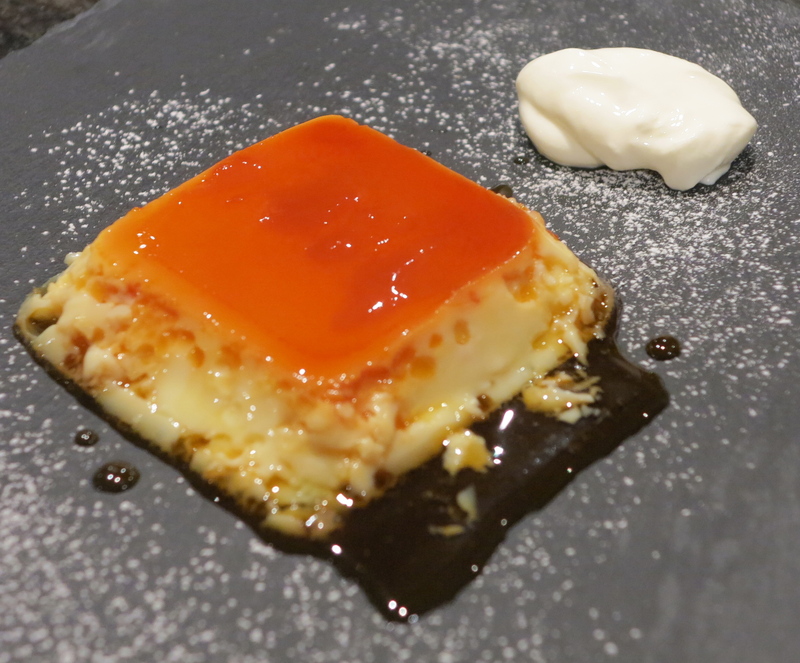 when the Creme Caramel has cooled turn upside down onto a plate and enjoy. We didn’t have any ramekins so I used what I could find in the kitchen (some square pots). Our cake stand needed filling up so I made a quick coffee cake today. 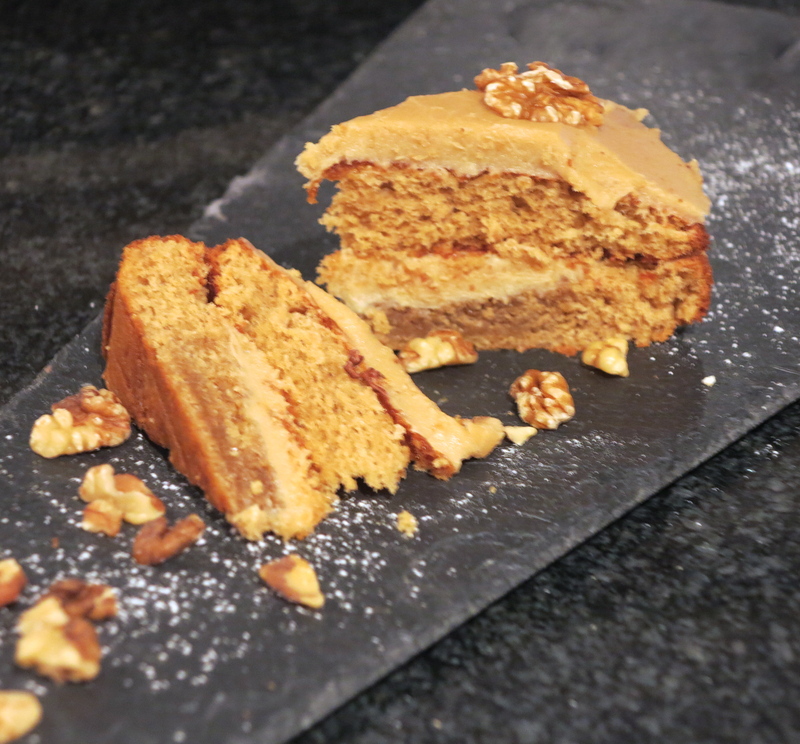 We love coffee cake in our house, my Mami says I should put walnuts into the cake mix but as I don’t like walnuts and I’m making the cake I don’t have to put them in! Just to be nice I do put some on top of the cake. This week I cheated a little bit and didn’t follow my Patisserie book this is because I’ve been wanting to make chocolate eclairs for ages and so I jumped over to my Mary Berry cookbook for todays bake. 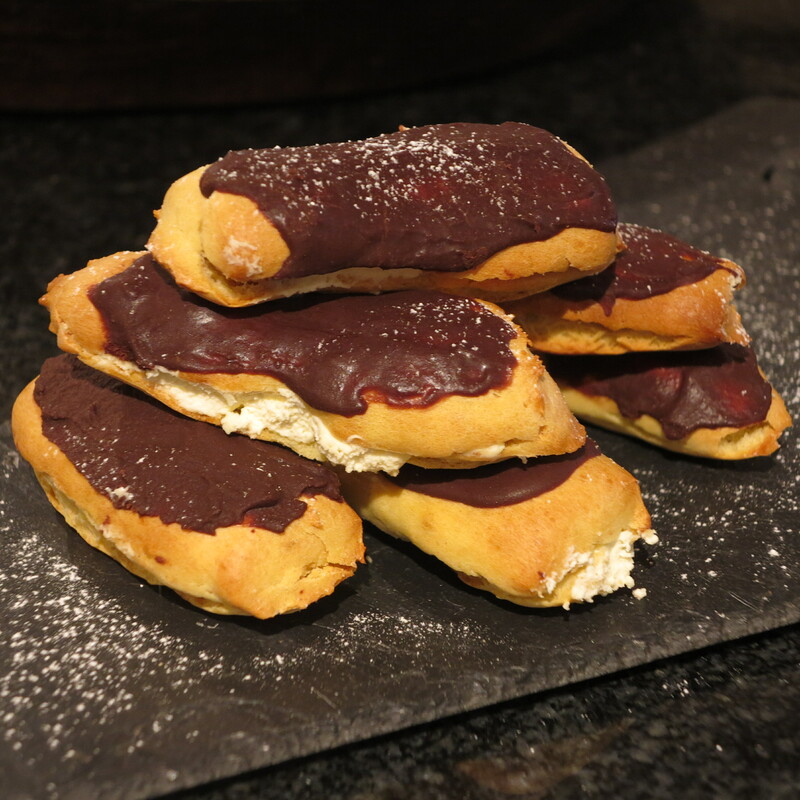 Chocolate eclairs are made from a choux pastry which is made by heating water and butter until melted and then adding flour and mixing until you have a ball of paste. 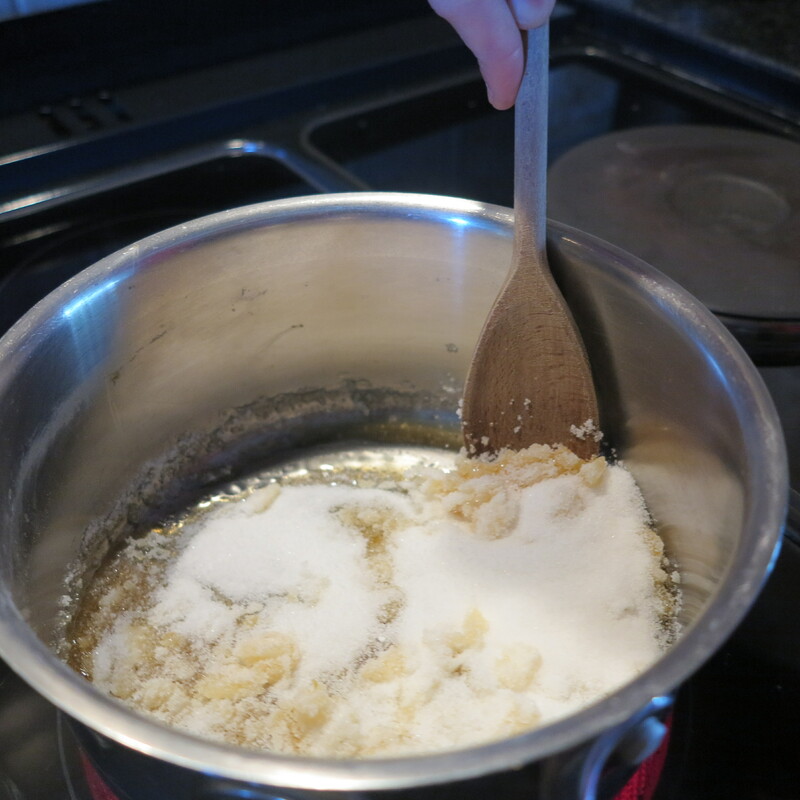 Two eggs are then added to the mixture and mixed till you have a smooth and glossy mixture which is then piped onto grease proof paper and baked. The pastry is cooked at a high temperature for 10 minutes and then the heat is reduced for 20 minutes to allow the pastry to rise. When the eclairs been cooked and cooled down they are sliced down the middle and filled with whipped cream and then a mixture of melted chocolate, icing sugar and butter are mixed together to form the chocolate topping which is spread onto of the eclairs. These eclairs were absolutely yummy and i’m so glad I deviated from my book this week. This weeks bake was Brioche. I made these just over a year ago but with a slightly different recipe and shape. 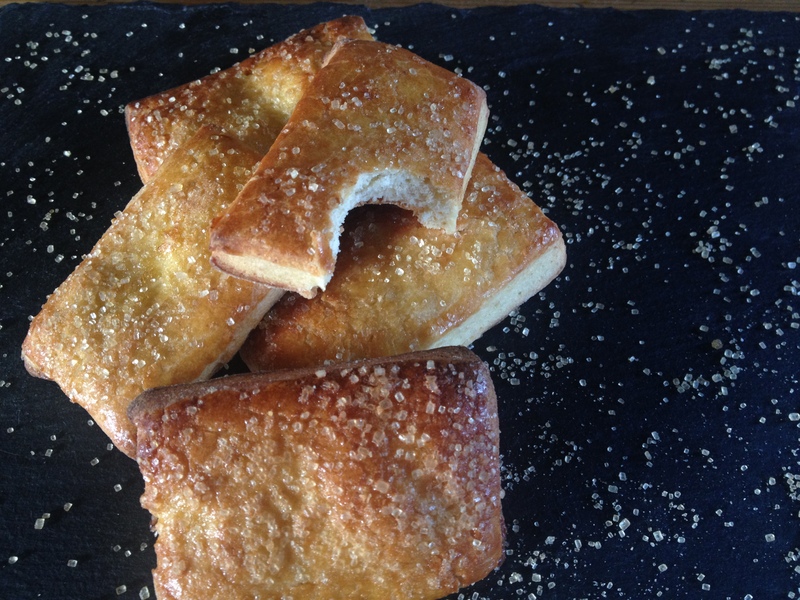 Brioche is a sweet buttery bread that can be eaten with or without butter. It is made from a sweet dough that is left to prove and is then shaped and left to prove again before baking. It is an easy bread to make but does take time because of the proving. I like to eat my Brioche after it has been warmed up in the oven. I’m think I prefer my previous recipe as this one was not as sweet and I perhaps cooked it a bit more than I should have. 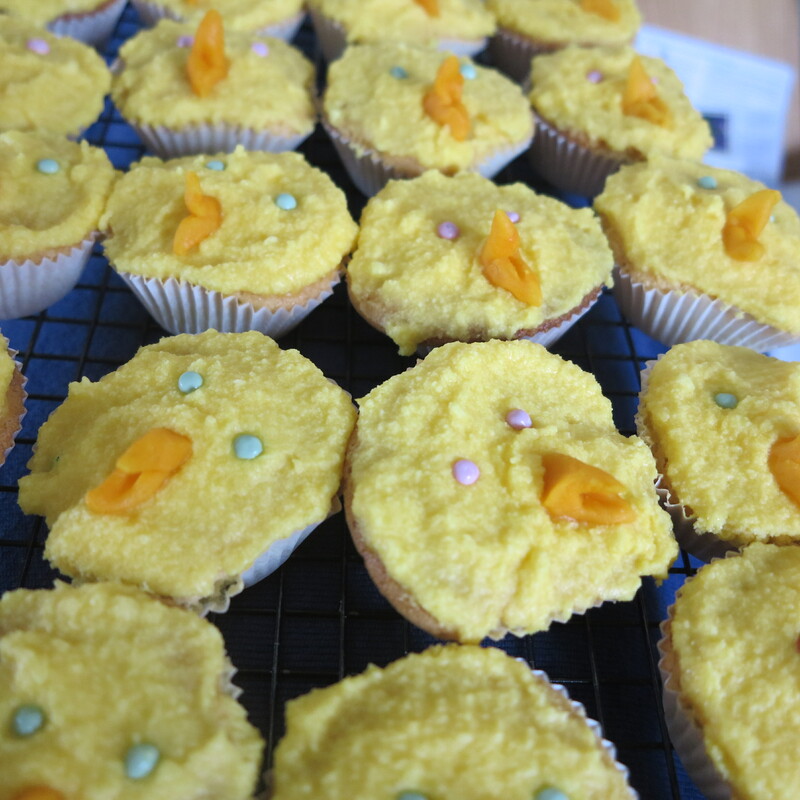 I thought it would be fun to make some pretty presents for Easter and so I made these little chicken fairy cakes. 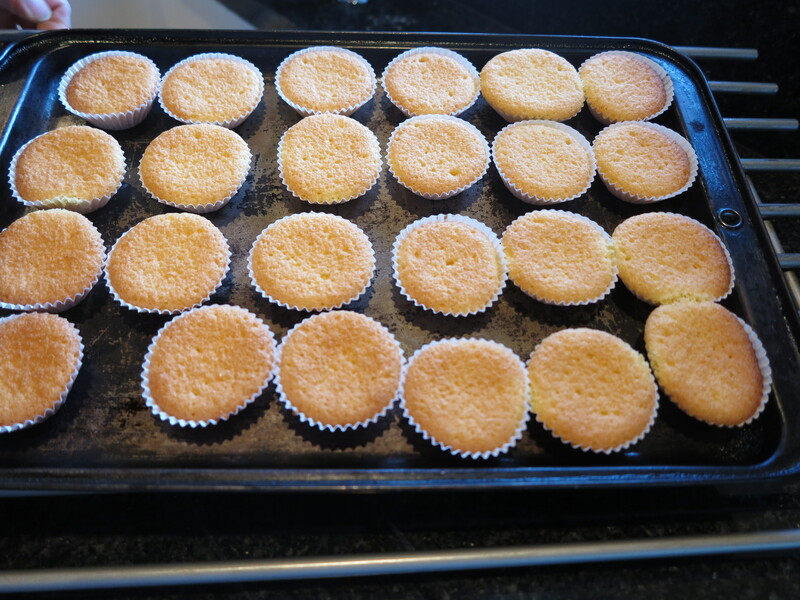 Using a basic sponge of four eggs, two teaspoons of baking powder,225g castor sugar, butter and self raising flour all mixed together and then spooned in to paper cases and cooked for 15minutes. 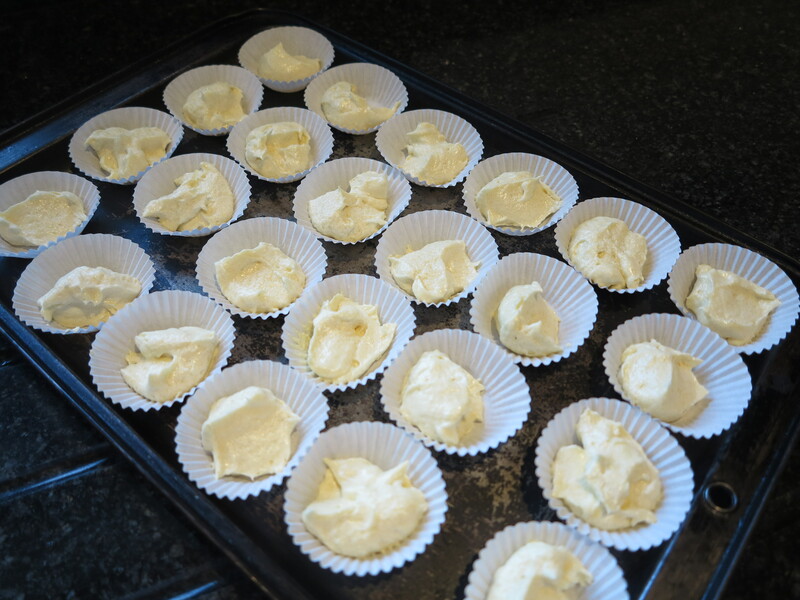 I then made up some butter icing which as you can see curdled I think was down to my butter being too cold. 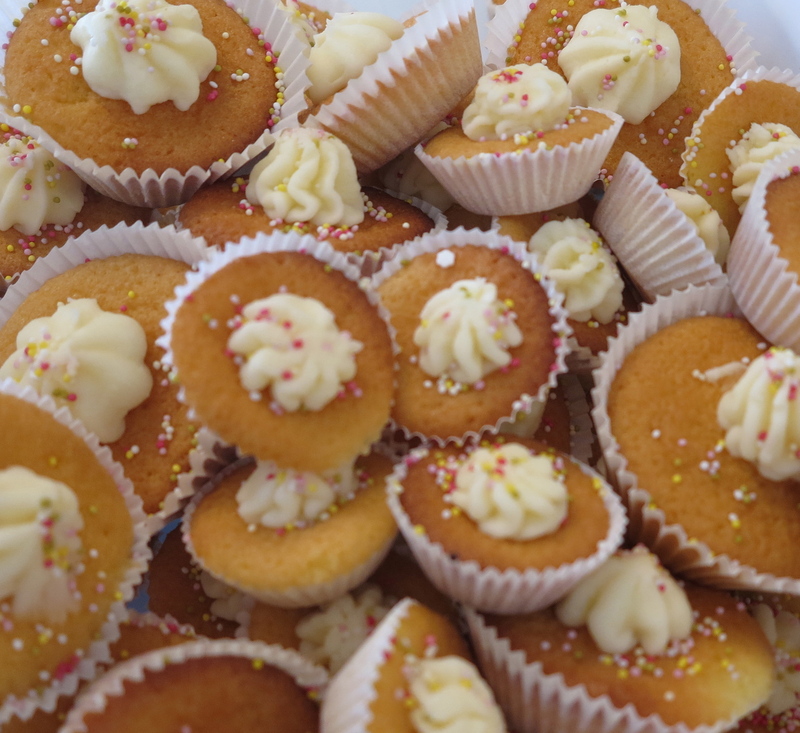 Once I had spread the butter icing onto the cakes I coloured some marzipan and made beaks for the chicks and used small chocolate coated balls for their eyes. 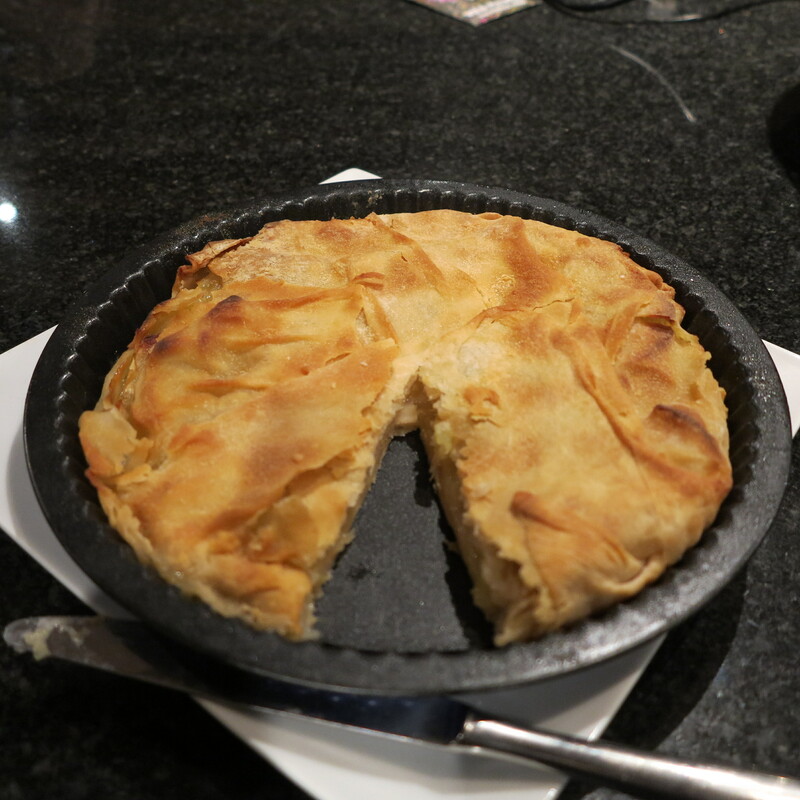 This week I made an apple strudel. I have made strudel before although it didn’t turn out very well. This time round it was much nicer so I’m very happy with that. The pastry has to be rolled out thin enough to be able to read a newspaper through it. This was very hard to achieve and I only managed to do it in areas. When the pastry has been rolled out, it is then cut into eight squares and placed around a greased tin making sure there are no gaps, otherwise the juices from the apples will leak through the pastry when cooking in the oven. Sliced apples are then layered over the pastry. I decided to sprinkle sugar on top of the apples thinking they would caramelise but this was a mistake as the sugar turned into a liquid caramel and leaked through the pastry a bit. While this strudel was better than my last attempt there were some faults such as the soggy bottom because of the sugar I had sprinkled on the apple but it was still yummy and tasted even nicer with a bit of custard.